Greg Sullivan is cofounder of AFAR Media, the premier media company serving the world’s best travelers. AFAR’s website at afar.com offers daily travel news, inspiration and guides to destinations throughout the globe. AFAR’s mission is to inspire, guide and enable deeper, richer and more fulfilling travel experiences. AFAR also has America’s most critically acclaimed travel magazine. When Greg and cofounder Joe Diaz launched AFAR in 2009, they joined forces with No Barriers Youth to also launch Learning AFAR, which provides travel experiences to high school students from low income families. Over 1,000 students have been given life changing experiences through this joint program. 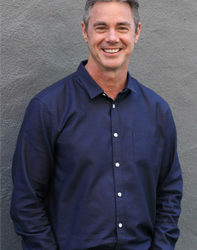 Greg started his career as a corporate securities attorney and later an investment banker before launching a series of successful entrepreneurial ventures, including the world’s largest selling coin-operated basketball game manufacturer and the second largest used car sales and finance company in the USA. He currently also serves on the board of directors of Carvana, the leading online car retailer.